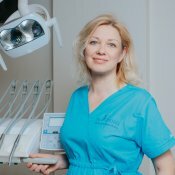 The head doctor Līga Apine is a dentist with over 30 years of experience. With a degree from the Academy of Medicine, the doctor is specialized in orthopaedic dentistry and has valuable experience in dental prosthetics. Dr Apine takes part in dental implantology courses on regular basis. Dr Apine has gained experience in clinics in Moscow, Estonia, Germany, and Italy. Līga regularly attends certified courses and professional seminars so to stay updated to the latest dental treatment trends. Līga will offer every patient a treatment method according to his/her abilities and means and will never reject her advice. Līga’s hobbies are jogging, cross-country skiing and needlework. 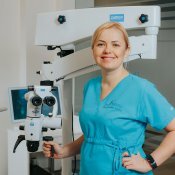 Māra graduated the Riga Stradiņš University Faculty of Dentistry and has specialised in dental prosthetics. She has built her experience working in dental clinics in America, Taiwan, Korea and Moscow. She regularly takes part in vocational training and professional courses in order to learn about the modern technologies and modern treatment methods. Māra is the positive spirit of the clinics that charges and unites the collective. Māra gladly enjoys both travels to the southern countries and skiing adventure. Māra loves cooking and enjoys the culture of cuisine. Vitaly Burnashov is our clinic’s surgeon. His skills in jaw and mouth surgery are endless – from simple tooth extraction to complex bone surgery, he can do it all. With the same care and ease he removes a moving tooth, he takes out complex wisdom tooth. The surgeon points out, that nowadays teeth should not be aggressively pulled out, but carefully, using the right tools, removed. However, Vitaly is the most satisfied after complicated operations. 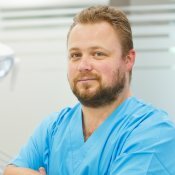 He also specialises in a wide range of implant manipulations. Vitaly’s skills and pedantic approach to every case ends in successful results and satisfied patients every day. He does not accept compromises, because he knows that a perfectly done job today will bring satisfaction for the future. Because of Vitaly’s great care and caution, his patients feel secure. Vitaly is constantly attending world class courses and seminars to improve his knowledge and his practical skills. In the last year alone, he attended theoretical and practical courses in Cuba, Hungary and Germany. Ruta graduated Riga Stradins University Faculty of Dentistry. 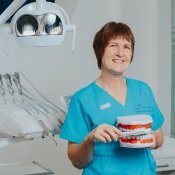 She started her medical career as a dental nurse, but soon she realised that her passion is to be a dentist. She has never regretted her decision, because Ruta believes that being a dentist is her true calling. Her biggest strengths are therapeutic dentistry and dental prosthetics. With her lovely attitude and warm smile, she successfully deals with our youngest patients as well. Ruta is very demanding with every dental work she does, so it lasts for the longest time possible. Ruta is the most satisfied when she sees her patients happy and smiling. Nothing is more satisfying than a happy patient! Outside her work she calls Italy her biggest passion, because of the great weather and good food. 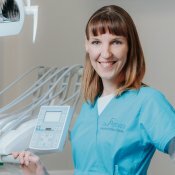 Ineta has been a certified dentist since 2010; she studied at Riga Stradiņš University Faculty of Dentistry. Additionally she has obtained experience at certified courses and seminars. Ineta’s strength is endodontics. It matters to her that every patient understands the procedure of treatment and feels safe. Ineta is always beaming and openhearted to both adult and minor patients. In her free time Ineta is interested in astrology and needlework. Elena Steina graduated the Academy of Medicine and now she is a dentist with more than 25 years of work experience. Elena follows the latest dental trends, technology and the newest innovations in dental materials. She never misses out on a course or a seminar on the latest trends in dentistry in Latvia and abroad. Elena has a lot of experience in therapeutic dentistry, endodontics as well as in dental prosthetics. Elena treats every patient with a special care, because she sees her work as a mission. Outside her job, Elena takes long walks in the nature and spends time with her family and friends. 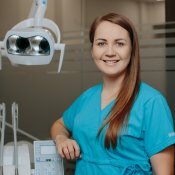 Aira Kalnina graduated the Riga Stradins University Faculty of Dentistry and has specialised in dental prosthetics. 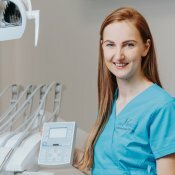 Her experience in therapeutic dentistry and knowledge in dental prosthesis allows Aira to treat her patients with a comprehensive approach to their dental situation. Her comprehensive view allows Aira to perform the most complex treatment plans, combining it with implants, fixed prosthesis or removable prosthesis. Aira’s passion for dental implants involved her in several dental researches. She is also constantly following the latest dental trends. 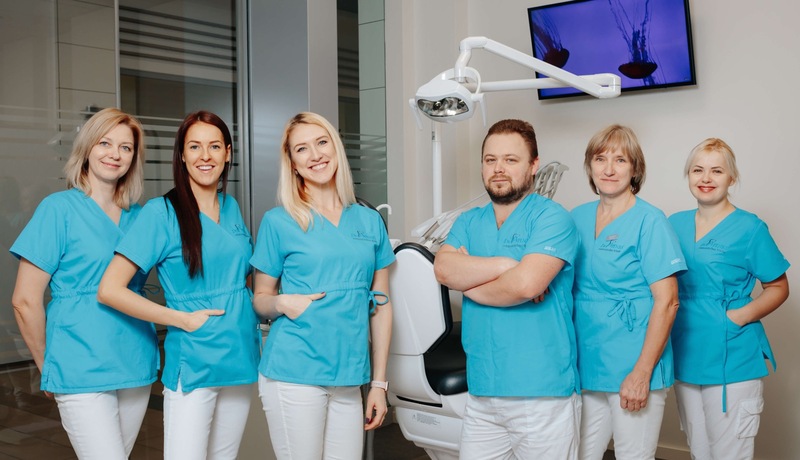 In order to be able to provide the best and most appropriate treatment to every patient, Aira regularly attends high-class conferences in Riga and abroad, to gain knowledge and experience from world class specialists. Aira’s biggest joy is to give a patient the most beautiful smile. Nothing is more satisfying than a happy patient! Outside her job, Aira loves to travel and spend time in nature. She likes to go for long walks with her family and cook for her friends. 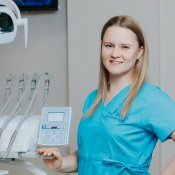 Liga graduated the Riga Stradins University Faculty of Dentistry and has been working as a dentist for several years now. Dental repair and treatment, endodontics and easy extractions are not a problem for Liga. She is constantly attending courses and seminars to improve her knowledge and practical skills, so she can deliver the best treatment to her patients. Liga’s warm smile and sweet, calming voice is so soothing, that even the smallest patients allow her to treat them. Marina graduated Riga Stradiņš University Faculty of Dentistry. She regularly increases her knowledge by attending international congresses, seminars and courses. Marina’s performance is characterised by the highest precision and responsibility, she is patient and smiling, especially when taking care of the minor patients. Sandra Trautmane was born in Venezuela, where she graduated from the Faculty of Dentistry in 1999. She started to train new students in the field of prosthetics shortly after graduation. Sandra got her professor’s degree in Venezuela and has been a university lecturer for almost 20 years. Sandra has published five important publications and has received academic awards for her work in science. Sandra came to Latvia for the first time in 2005 when she worked as a dentist, but returned to her homeland three years later. Currently, Sandra is again in Latvia and considers it to be her home, where she plans to continue and improve her dental career. Sandra keeps up with the latest researches in dentistry, that allows her to learn the latest trends and to develop her theoretical knowledge. Sandra loves her work and treats every patient with great responsibility, care and sincerity. 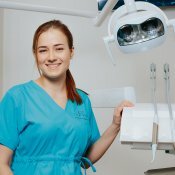 Anastasia graduated the Riga Stradiņš University Faculty of Dentistry and has specialised in therapeutic dentistry. She also does root canal treatment, tooth extractions and small prosthetics. Anastasia has gained experience in various courses both in Latvia and abroad. Anastasia wants to keep her skills up to date, so she regularly attends the latest courses and lectures and keeps track of the news online. The positive nature of Anastasia allows to successfully understand both adults and small patients. 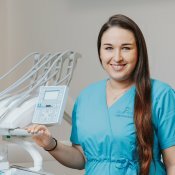 Anastasia aims to provide the best possible care and solution for every patient. Anastasia’s hobbies are traveling and cycling. Silva graduated the Riga Stradiņš University, Faculty of Dentistry . Her biggest strength is therapeutic dentistry. Silvas’s passion is aesthetic sealing. Aesthetic sealing is one of the most common procedures of cosmetic dentistry which is for patients who are seeking an obvious change in their smile. During the procedure, cracked or damaged teeth are being restored by using white coloured aesthetic dental fillings, thanks to which the result is looking very natural and long lasting. Silva has gained experience in conferences in Latvia, Germany, Switzerland and elsewhere. Silva’s passion is spending time together with her family skiing or enjoying water sports. As passionate about repairing teeth, Silva likes cooking and baking. 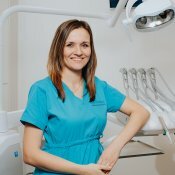 Karina Skabeike is our dental hygienist with more than ten year experience. 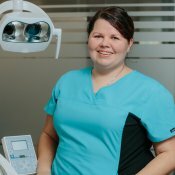 She started her career as a dental technician, but soon understood that she wants to help patients face to face. 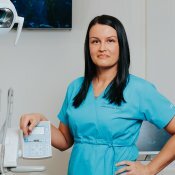 Karina worked as dental assistant for doctors in Latvia and Germany. 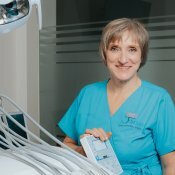 She knows how to treat patients with periodontics and she’s interested in the newest innovations and latest trends in dentistry. With her warm smile and cheerful attitude Karina gives joy not only to her patients, but to all of her colleagues as well! Gunita has been working as a dental hygienist for more than 10 years now. She obtained her education at the Dental Hygienist School of the Latvian Medicine Academy. 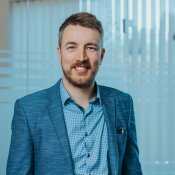 Additional knowledge and experience has been acquired at the post-graduate courses of the Latvian Academy of Sciences and the Latvian Association of Dental Hygienists. 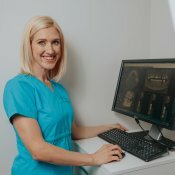 Gunita works pedantically and precisely works with every patient by professionally conducting complete oral hygiene as well as instructing the patients in everyday oral care. Gunita is a passionate equestrian and enjoys gardening. 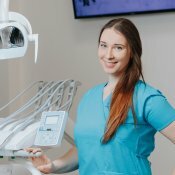 Ingrida graduated the Riga 1st Medicine College, becoming a dental assistant. Her high sense of responsibility makes Ingrida integral part of the team. She is very pedantic when it comes to maintaining the highest standards of sterilization and cleanness. At her free time, Ingrida likes doing handcrafts and cooking, especially baking. 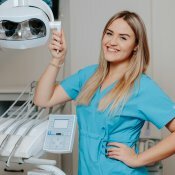 Evija is a dental nurse who graduated from Riga’s 1st Medical College and the Academic School of Dental Hygiene at Riga Stradins University. 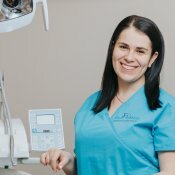 Evija has always been interested in dentistry and she wants to break the public opinion that teeth are just teeth and do not affect the whole organism and overall health. 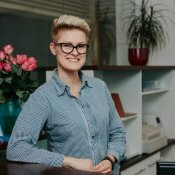 Smart, kind and helpful, that’s how Evija is characterised by her colleagues. With her cheerful spirit and warm smile Evija finds common language with both adults and our little patients. Evija is very serious about her job responsibilities, while in her spare time she prefers staying active. At the top of her list of interests is motocross, moto freestyle and sports dance. Sintija is one of the clinic’s dental assistants. She is always in a good mood, ready to face her daily duties with a big smile. Sintija maintains the highest standards of sterilization and cleanness. 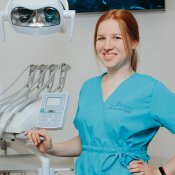 Vera has been afraid of dentists since her early years, to face her fear she decided to become a dental nurse. She graduated 1st Medical College and fell in love with dentistry. With her heartfelt smile and professionalism Vera makes every patient feel relaxed and safe. Vera is a great help for her dentist, ready to assist every moment. She maintains the highest standards of sterilisation and cleanness. Vera spends her free time with her family, she loves traveling and photography. Alina is clinic’s dental assistant. She assists her doctor in every step, making sure that he can pay his full attention to a patient. Alina is very clean and diligent, maintaining maximum standards of sterilization. Alina also likes to communicate with people, she is always very responsive and smiley. Ilze graduated Riga Stradins University Faculty of Medicine and now she is studying to become a dentist. Ilze is very loved and appreciated in the clinic, because of her high sense of responsibility and cheerful spirit, she is always ready to help anyone in need! 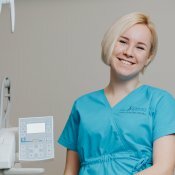 Līva is clinic’s dental assistant, who studied in Riga Stradins University. She is constantly improving her knowledge in various courses and seminars. Every day, with enthusiasm and responsibility, she carries out her duties and never refuses to help anyone in her team. Liva may seem silent at first, but in fact her sense of humor can enchant everyone around her. Outside her work she spends time travelling. Tatiana is our cheerful dental assistant. She graduated the 1st Medical College of Riga and has been working in the field for four years. Tatiana is glad to assist her doctor every second of the day and she is excited to be a part of patient’s path to a beautiful smile. With her positive energy she is an integral part of the clinic. Tatiana is serious about her daily work responsibilities and does not refuse to help her colleagues when needed. Sterility and disinfection are at the top of her priority list. Outside working hours, Tatiana likes to relax in the nature, her passion is traveling and getting to know different cultures. Ieva takes care of our clinic’s administration. She is very responsible and detail orientated, ready to solve any difficulties that may encounter. Warm smile and her kind attitude follows her daily.